We hope you’ve had a wonderful summer, full of music and dancing! If you caught one or more of our 7 shows this summer, you’ll know that our 2015 Summer Camp Series was a huge success! Thank you for supporting performing arts in our community, and for doing it with such style! As Savannah Children’s Theatre continues to grow, we are expanding our Dance for Musical Theatre program. This year, we will be adding another level of Aerial Silks, as well as welcoming a new teacher into the SCT Family! Please meet Elizabeth Brookman! Originally from South Carolina, Elizabeth began her training with Ann Brodie at the Carolina Ballet. She had further training at the Atlanta Ballet School, American Ballet Theater, and Joffrey Ballet, then graduated from North Carolina School of the Arts and joined the Morgan/Scott Ballet Company in NYC. Falling in love with the performing and traveling, she performed on luxury cruise ships for five years and was able to visit over one hundred countries. Shows included the classical ballets Swan Lake, Aida, and Carmen, as well as musicals Cats, Cabaret, Chicago and Thoroughly Modern Millie. Elizabeth moved to China in 2007 to join the Suzhou Ballet Theater. After one year with the company she moved to Shanghai to perform and teach for Jazz Du Funk until 2015. Elizabeth looks forward to calling Savannah her home and sharing her experiences to inspire future performers. We are thrilled to be able to give SCT students the opportunity to learn from theatre artists from all walks of life. Elizabeth has already choreographed for this year’s Dance Camp, The Colors of My Life, and our Summer Camp production of Thoroughly Modern Millie. She is warm, kind, incredibly talented, and definitely a little on the goofy side! 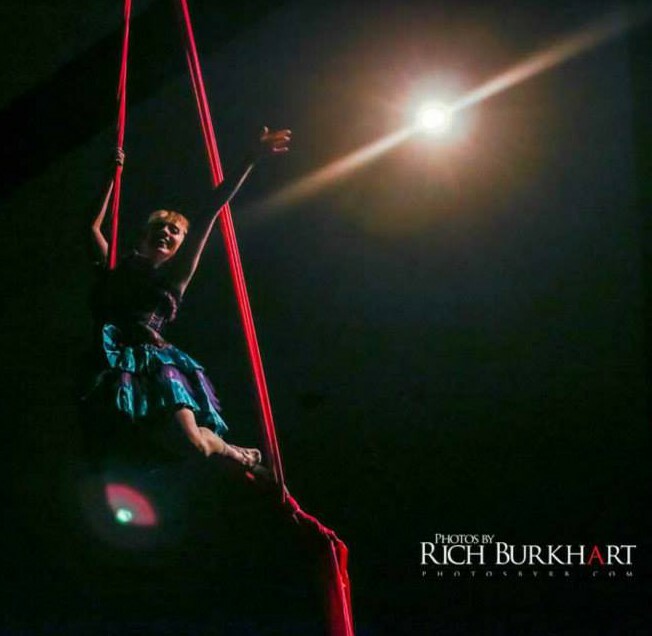 Our resident choreographer, Jenn Doubleday, will continue to grow and develop our Aerial Silks program, as well as providing choreography for all Junior Company, Kids on Stage, and Main Stage productions. Of course, dance is faaaaaar from the only thing SCT has to offer! This year we have Creative Dramatics for PreK – 1st graders, Creative Dramatics I (The Emperor’s New Clothes) for 2nd-5th graders, Creative Dramatics II (Great Expectations the Musical) for middle schoolers, and Junior Company (A Servant of Two Masters) for high school students! To register for classes, click HERE! As always, if you have any questions or concerns about classes or scheduling, please feel free to write to us. We hope to see all of you soon! “A Rollicking Band of Pirates, We” have leaped through the stage doors of SCT and have been skipping to the tunes of this operatic comedy for the last twelve weeks. These “rollicking” actors consist of middle school students enrolled in our Creative Dramatics II Class, who are now entering Tech Week for Gilbert and Sullivan’s Pirates of Penzance, Jr!, directed by Mr. Chris Blair and myself. Mr. Mike and Mrs. April Prow will be our Lighting and Sound Design team, assistance in Set Design by Mr. Eric Mitchell, and assistance with Costuming by the lovely Bonnie Juengert and Renee McMahon. So what is tech week? Tech Week is the last week of rehearsals when all elements of a production come together and the magic of finalizing the show begins. By the time these technical rehearsals begin, the cast of a production should feel comfortable and secure with the flow and orchestration of their show. This is an important element, because much of the focus from the Director will be geared towards the technical elements of the production instead of the actors. It is at this time that we rely on these young actors for patience and concentration. 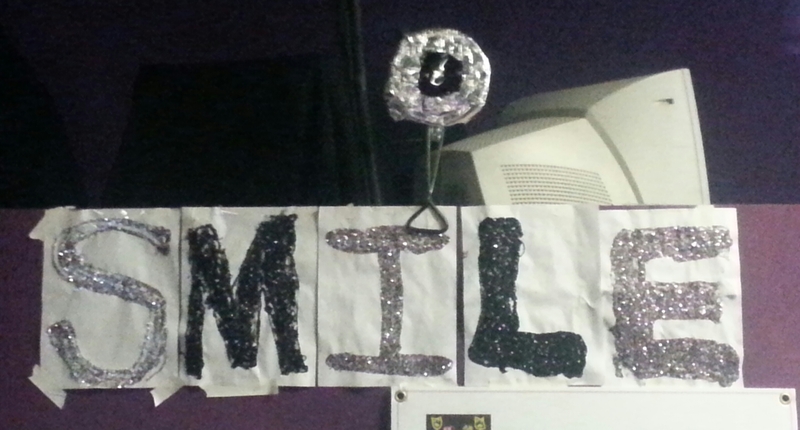 Mr. Chris, with his ability to move larger set pieces, will be backstage with the students to make sure all is running calmly and quietly, while I will be up at the lighting board behind the sparkly glittered sign that says “SMILE”! I love this sign because it is a friendly reminder that what we are doing on that stage is a play, and to take it literally, it is just playing! What fun it is to be able to portray a pirate with a peg leg, or a silly and flexible police officer, or even a maiden who has a fear of water, yet lives on the ocean’s coast. One of the highlights I thoroughly enjoy within this week is the time and focus an actor gives towards the choreography and blocking of each moment. The students are given this opportunity during the long hours of rehearsal to really center in on those 4 W’s; the WHO, WHAT, WHEN, and WHY of their character. This week leading up to the opening performance holds some of the most exciting moments for the cast. I look forward to seeing smiling faces on stage, and proud and supportive friends and family of every student on SCT’s stage. The hard work towards their growth as young performing artists is most definitely something to applaud. Let’s all and give a “Hurrah” for this coming weekend of performances: November 8th at 7:30pm and November 9th and 10th at 3:00pm! Click here for tickets! In September of 2010, after living in Savannah for a little over a year, I heard about auditions for Rogers and Hammerstein’s Cinderella at SCT. I walked into the doors for the first time the night of auditions, unsure of what to expect. I ended up being cast as the Queen and after that I was hooked! 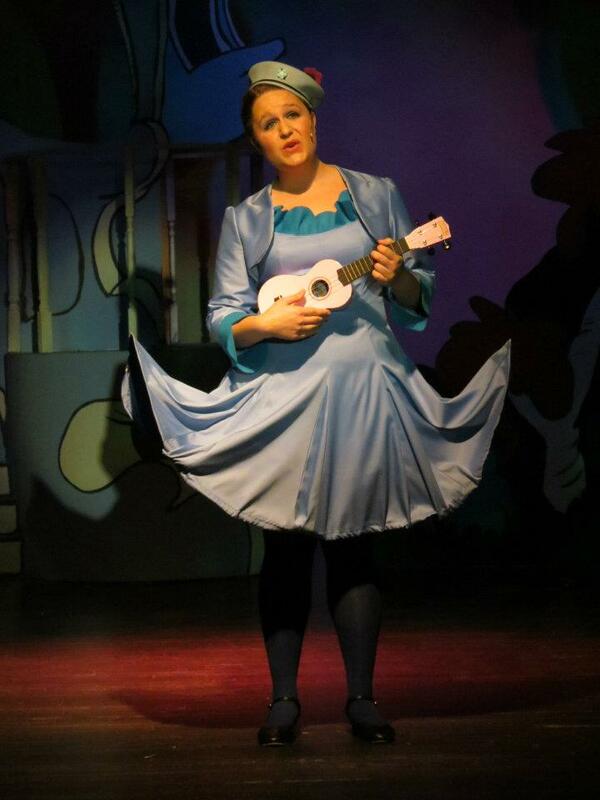 After Cinderella, I was in four more Main Stage shows; Honk!, The Music Man, Seussical, and A Year with Frog and Toad. As I learned more about the children’s theatre and how it worked, I realized that performing in shows was not going to be enough for me. 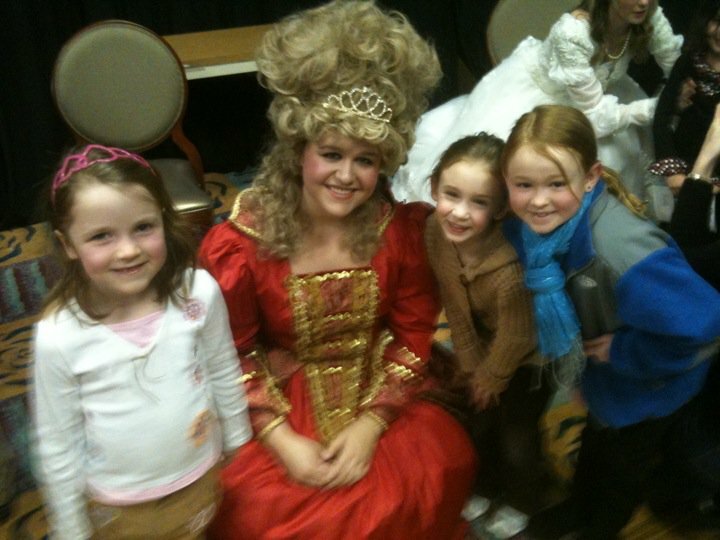 I desired to teach children and share with them my love for theatre. A year ago I started working for SCT in the Let’s Put on a Play! field trip program. I enjoyed it very much, but unfortunately my other job limited my availability to do field trips. This past March, I was asked if I would be interested in being the Assistant Director of Creative Dramatics 1. Luckily everything worked out and I began working with Carmel Cowart and the kids in CD1 on the musical The Velveteen Rabbit. Now we are currently working on Tiny Thumbelina which opens November 15th on the SCT Main Stage! I am very thankful that I ended up working at SCT, and I am excited every week to go to class. Its amazing to see the kid’s smiling faces and how excited they get about learning their songs, dances and blocking! I love helping them discover new exciting things. I have seen shy children come out of their shells and become confident, accomplished performers. I am very thankful to be part of the children’s theatre family and have the opportunity to inspire, educate and enable children to entertain. I looked forward to the many stories I will have to share with you in the future. Every day is an adventure and I’m filled with joy to be a part of it!